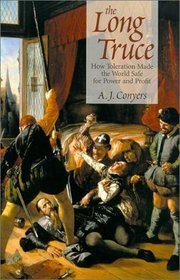 In his book The Long Truce: How Toleration Made the World Safe for Profit and Power (Spence Publishing, 2001) A. J. Conyers argues that tolerance, a principle doctrine in western democracies, is not a public virtue; rather he contends that it is a political strategy employed to centralize power and guarantee profits. Tolerance, of course, seemed to be a reasonable response to the religious wars of the sixteenth and seventeenth centuries, but tolerance based upon indifference to all values except political power and materialism has relegated ultimate questions of meaning to private life. Conyers offers another model for tolerance based upon values and resources already resident in pre-Reformation Christianity. In this essay, we consider aspects of Conyers’ case against the modern, secular doctrine of tolerance. We examine his attempt to reclaim the practice of Christian tolerance based upon humility, hospitality and the “powerful fact” of the incarnation. Furthermore, we bring the late Conyers into dialogue with Fethullah Gülen, a Muslim scholar, prolific writer and source of inspiration for millions of moderately inclined Muslims. We explore how both Conyers and Gülen interpret their scriptures and tradition in order to fashion a theology and political ideology conducive to peaceful co-existence. Fethullah Gülen was born in 1941 near Erzurum, Turkey. He grew up in a religiously observant home, the son of imam. He became a state preacher in 1959 and took his first post in Izmir. Inspired by the teachings of Said Nursi and Mevlana Jalal ad-Din Rumi, Gülen advocates a spiritual form of Islam that is open to science, promotes education, and is deeply committed to interfaith dialogue. One of his principle ideas is hizmet (Turkish), the notion that all true believers have a duty to serve the “common good” of the community, nation, and world. As a result he has inspired a transnational civic movement often referred to as the Gülen movement. His followers have founded schools (more than 500) and hospitals and organized various charitable and educational institutions in many countries around the world. In his many books, publications, and audio tapes he condemns terrorism as un-Islamic and appeals instead for understanding, dialogue, and tolerance based on religious principles. 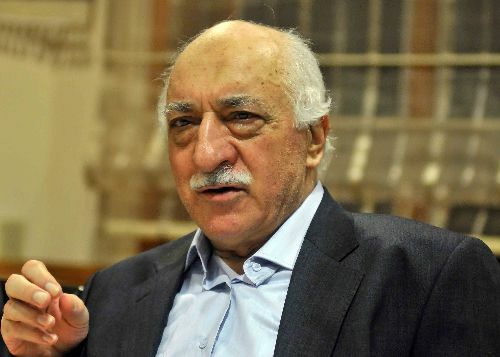 In the late 1990s Gülen emigrated to the United States for health reasons although many suspect that it had more to do with tensions between him and the secular Turkish authorities. Gülen had been accused—but was later acquitted—of advocating the establishment of an Islamic state in the Ataturk’s Turkey. In many ways Conyers is a suitable dialogue partner with Gülen on the question of tolerance. Until his untimely death, Conyers had distinguished himself as a gifted Baptist theologian with an ever-increasing audience. He was a consummate, “southern gentleman” (in the American sense of the word), kind, welcoming, sincere. As a scholar, he had benefited from a positive relationship with Jürgen Moltmann, whose influence appears consistently, though not uncritically, in his work. As a Baptist, Conyers was a member of a denomination in the USA that is not typically associated with tolerance but is with strong convictions, passion, and fervency in faith. Still, despite popular perceptions, there is a significant tradition of tolerance and freedom of conscience within many Baptist thinkers in Europe beginning with Thomas Helwys. Baptists, of course, were a religious minority at the turn of the 17th century, and so they faced hostility from both established churches and government officials. As a result, they advocated for religious liberty initially for themselves but by extension for all. They formulated the doctrine directly from Christian Scripture, reason, and human experience. Essentially, they argued that government should not meddle in matters of religion and conscience. Had they known it, they would have agreed wholeheartedly with the Qur’anic injunction that there is no compulsion in religion (2:256). Baptist leaders scandalized some by advocating religious liberty for Roman Catholics, Turks, Jews, and heretics alike. Religious uniformity, they believed, was not necessary to ensure the domestic tranquility. In the last century this Baptist distinctive is articulated carefully in the work of E. Y. Mullins, and Conyers builds and expands on that tradition in his own way. Conyers then represents one of the most recent and articulate advocates for tolerance in American Baptist life. But Conyers also recognizes that the practice of toleration is “not an exclusively Christian predisposition, for the practice of toleration is often touchingly and effectively expressed in such religious philosophies as one finds associated with Hinduism, Taoism, Confucianism, and among the Sufi mystics of Islam.” This is all the more reason to bring Conyers and Gülen into conversation. A virtue strengthens our relationships. From a Christian perspective, all virtues serve the interests of love, love being the chief virtue and goal of life. Humility, patience, and prudence make it possible to love God, the world, and human beings, all in their proper order and proportion. Virtues are interconnected and, in a sense, are all one. They are themselves the goal of human life. We are created for this: to be capable of loving. For Conyers, all lesser virtues serve the chief virtue, love. There is never a time when love is out of place or courage is inappropriate or moderation is unwise. But everyone agrees that tolerance cannot be without limits. So then, what is tolerance if it is not a virtue? Conyers proffers that tolerance is a modern strategy to establish centralized power and to protect economic prosperity. While it may depend on virtues such as humility, moderation, patience, etc, tolerance is in fact a policy to achieve a particular end. That particular end itself is a good. Tolerance aims to ease the tensions rooted in the significant differences facing a shrinking, global world; as such it is not an end but a means to an end, a strategy that seeks harmony and peace within our common life. Now Conyers advocates for peaceful co-existence as a good worthy of all our efforts. But he questions whether the modern strategy of tolerance advocated in secular democracies has a sufficient basis. He bases his argument upon an analysis of key writers on tolerance including Thomas Hobbes, Pierre Bayle, John Locke and others. While we tend to think of the world today almost exclusively in terms of large, diverse nation-states, this rather recent phenomenon brought with it significant changes to social, political and religious life. In the modern nation-state the centralization of the government depends largely on the secularization of public life. As Michael Walzer has argued, in order to establish peace differences must be managed. Generally, they are managed by a single, dominant group that organizes public life in such a way as to reflect and maintain its own culture. Unmanaged differences will inevitably “disturb the peace.” Differences, especially religious differences with their ultimate claims, must be managed above all. So, there are three options: (1) insist that all have the same religion; (2) forbid religion from entering the public square; or (3) consign religion to the private sphere. Generally, it is options 2 and 3 that have characterized western democracies. In France and Turkey, for example, the practice of laicism has effectively excluded religion from public life. In the United States and other western democracies, freedom of religion may be guaranteed but ample social and legal strictures are present to consign religion effectively to the margins. No doubt the religious wars that devastated Europe in the 16th and 17th centuries played a significant role in how modern philosophers and statesmen constructed their views of tolerance. But Conyers points out that the expansion of territories, the rise of powerful nation-states, and the growth of trade with its promises of wealth made Europe ripe for conflict without the stresses caused by religious differences. Clearly, religion was not the only factor leading to the horrors of the Thirty Years War, but it was partly to blame. Conyers believes the modern doctrine of toleration has failed and will continue to fail because it bifurcates life into public and private spheres and assigns questions of ultimate concern a role only on the margins. While the modern doctrine of tolerance pretends initially to support the idea of religion, it almost immediately will neutralize any sincere expression of religious conviction. With the one hand the tolerant democracy gives—and it can afford to give because it is a powerful, prosperous state—with the other it takes away. The wedding of tolerance with power will ultimately mean that toleration will give way to other kinds of intolerance. Conyers asks: Is there a practice of tolerance not based on indifference to the question of “the good”? Is there an authentic tolerance that does not privilege power and materialism over deeper, more abiding questions? Yes, he argues, and the answer is found in the central mystery of the incarnation. For Conyers “the powerful fact of the incarnation” provides a basis sufficient to reorder human existence and establish peace amidst difference. Conyers is quick to point out, however, that he is not talking about “the doctrine of the incarnation”; for it is in the nature of doctrines to develop over time and doctrines may or may not be true. Rather he is speaking of the central conviction that God had become flesh in the particularity of Jesus of Nazareth and that He was in Christ to reconcile the world. As a “fact” or “conviction” rather than a doctrine, it is not necessary that we grasp the reality of the incarnation or can explain it in some systematic fashion. It is more important, according to Conyers, that the reality grasps us and reorients our lives essentially toward a more tolerant and open attitude toward others who share the same enfleshed existence. Incarnation then becomes the basis for hope. A life shaped by the vigorous conviction of the incarnation may well be aware that the world is filled with suffering (because of intolerance and other problems), but it also recognizes that it is not destined for suffering nor is it beyond hope. If God has entered our world and dwelt among us, then our world must be good and our future hopeful. This stands in stark contrast to the modern notion that the world is to be feared, subdued, and made safe for power and profit. Just as pseudo-toleration answers power with power, it answers bigotry with bigotry. The hallmark of authentic tolerant practice should be the listening heart for which the wise king prayed and not the management of language and appointing itself the arbiter of all public discussions. Such toleration reaches outward toward an ecumenical goal, with eternity as its ultimate horizon, because its practice is essentially the practice of the open soul. It springs not from the fear and self-protection that Thomas Hobbes was so sure animated all things in human society where life is naturally “solitary, poor, nasty, brutish and short,” but it springs from a propensity toward magnanimity and a predisposition toward faith. The recovery of this practice of toleration would mark the reversal of a very old prejudice in the modern mind. It would reverse the deep-seated suspicion that undergirds much of modern thought, the suspicion that the world cannot be known, much less loved, and that it must be conquered in order to be made safe. What are we to make of this unpretentious move by Saint Thomas, in a work of Christian theology, from the church fathers, to medieval Christians, to a Muslim, to a pagan? There is no self-conscious celebration of diversity here, not even the thought of it. Nor is there the resigned air of “everyone is entitled to one’s own opinion, since no one can gainsay opinion.” Just the opposite is the case, in fact, because there is the resolute pressing forward to an idea of truth that is common to everyone simply because it is real for everyone. It is inclusive not in the easy modern way that makes its claim before any effort has been expended to find common ground but in the more arduous medieval way. Conyers, of course, is not alone in this assessment. David Burrell suggests that the doctrine of God inherited by the enlightened west was already an achievement of interfaith dialogue. Although A. J. Conyers and Fethullah Gülen were shaped in different worlds culturally and religiously—and I find no evidence that one influenced the other—amazing resonance exists between them on this issue of tolerance. This resonance is located precisely in the vitality of their respective faiths. For both men, their deep religious commitment informs their unwavering commitment to tolerance. Still, there are subtle differences between them based in large part upon the faith communities and worlds from which they come. First, it must be acknowledged that both Gülen and Conyers are working from a similar definition of toleration. Gülen defines tolerance as embracing all people regardless of differences and having the ability to put up with matters we personally dislike by drawing upon the strength of convictions, conscience, faith, and a generous heart. One of the key concepts Gülen uses in discussions of tolerance is hoshgoru (hosh = good, pleasant; goru = view). Sometimes this word is translated into English as “tolerance” but conceptually it is probably best taken as empathetic acceptance. For Gülen, tolerance involves identifying with and accepting others. But one cannot identify with others without first listening to them and understanding the world from which they come. Conyers would agree with this construal of tolerance and go on to say that difference is what makes “high tolerance” possible. Unlike some moderns who may wish to eliminate differences and seek to assimilate minority groups into the powerful state, Gülen and Conyers argue that embracing differences ultimately serves the same goal and demonstrates respect for those who otherwise would be left out. Furthermore, both Gülen and Conyers locate the resources necessary to create an atmosphere of tolerance precisely in the particularity of each faith community. For Gülen, the essence of Islam—like the word “Islam”—involves surrender [to God], peace, contentment, and security. He cites a well-known episode from the life of the Prophet. When asked what practice of the faith is most beneficial, Muhammad remarks that feeding the hungry and offering salaam (the greeting of peace) to both friend and stranger are the most beneficial. Essentially, the pursuit of peace and seeking to establish peace are fundamental to Islam. If “peace is better” as the Qur’an teaches (4:128), then the true Muslim will work toward peace. Conyers, likewise, from a Christian perspective argues that the pursuit of peace via authentic tolerance is implicitly theological. If the modern project of tolerance sets aside faith and ultimate questions about humanity, the world and God because these questions cannot be easily resolved, authentic tolerance deals precisely with these questions and embraces those who answer the questions differently. The pursuit of peace is therefore an essential call for any Christ-follower as it is for any Muslim. For Gülen, tolerance is ultimately rooted in the attributes of God. God is All-forgiving, All-merciful, All-compassion. These attributes of God, while common to the teaching of all the messengers of the past, have been communicated most effectively through the Qur’an and the Sunna. In particular, the Qur’an calls all Muslims to engage in tolerance and forgiveness because of the nature of God (64:14). Although a true believer may defend himself from attack, God does not forbid showing kindness and acting justly to those non-Muslims who are willing to live in peace (60:8). True believers are called to forgive those who do not look forward to the Days of God (45:14). Likewise, they are to swallow their anger and forgive others when they have been harmed (3:134). Gülen cites these passages—along with many others—to show that the Qur’an is itself is “the source of leniency and tolerance.” Additionally, Gülen relates a number of episodes from the life of the Prophet and his companions to show that he was a man of peace and demonstrated peace in his relationships with friends, enemies, and People of the Book. The negative statements about Jews and Christians in the Qur’an, according to Gülen, are not universal injunctions. They are sourced in contingent circumstances of doctrinal controversies or active hostilities. Clearly, the Qur’an does criticize certain beliefs held by Jews and Christians (e.g., claiming God has a son and granting certain powers to the clergy). However, these critiques are leveled against ideas and attitudes not people. Furthermore, those verses that permit fighting are based on the active hostilities of particular Jewish, Christian or pagan groups against the nascent Muslim community. On the whole, according to Gülen, the Qur’an is balanced toward civilized, peaceful coexistence while preserving Muslim identity. One of the strongest points of connection between Gülen and Conyers on tolerance resides in their conviction that faith in the One God reveals the interrelatedness of all things. Gülen begins with the idea that love is the reason for creation and existence, and that everything in the world is God’s handiwork. Accordingly, if you do not approach all humans, who are creatures of God, with love, then you hurt those who love God and those whom God loves. Essentially, one cannot claim to love God without loving everything that God has made. Love, of course, is an essential pillar of tolerance. Similarly, Conyers would agree with Gülen’s teaching on love and the interrelatedness of all things. But once again, for him, the incarnation informs the discussion because it reveals God’s love for all things and ultimately reconciles all things back to God. If all things are destined to be reconciled to God, then the believers’ vocation in this age consists of joining God in “the ministry of reconciliation” (2 Cor 5:16-20). The practice of “the open soul” for both Gülen and Conyers depends upon humility. Humility for Gülen means judging “your worth in the Creator’s sight by how much space He occupies in your heart and your worth in people’s eyes by how you treat them.” We see in this statement evidence of the spiritual side of Islam, a kind of mysticism typical of the Sufi tradition. The human heart is made for its Creator and is at its best (namely, humble and generous) when the All-forgiving and All-merciful One fills every corner. Gülen privileges the spiritual sphere of Islam over the institutional and political spheres. This means that one’s commitment to vitality in his/her spiritual life manifests itself in treating others with compassion, forgiveness, love, and tolerance. Such treatment will be noticed, appreciated and result in kind treatment in return. As we saw earlier in this essay, Conyers also considers humility fundamental to any authentic practice of tolerance. But as a Christian, Conyers locates that virtue in the example of Christ and the call to “follow” him. Additionally, Conyers finds that the reality of the incarnation challenges every idea and practice of exousia (“power” or “authority”). In the New Testament Jesus is clearly a prophet with authority and he shares that authority with his disciples, yet the teaching here is “not simply one of power distributed from on high but power exercised as a cosmic exchange. It is not the love of power but the power of love: God has become man, and that man, the representative of the race of men, is indeed God, so that human beings can participate in all that God is.” For Conyers, the coming of Christ into the world is a powerful demonstration of God’s love for us, a love that ultimately exalts those who are truly humble. As the Scripture says: “God opposes the proud, but gives grace to the humble” (James 4:6; quoting Prov 3:34). For both Gülen and Conyers, the practice of tolerance—with roots firmly planted in their respective Scriptures and traditions—finds it telos in dialogue, what Conyers calls “the listening heart.” But Gülen has been able to accomplish more than any leader or activist I know to inspire a generation of leaders who have taken the message of love, tolerance, and dialogue to the nations. In particular, Gülen has urged his followers to found organizations committed to dialogue and tolerance. He has recommended that tolerance awards be given to encourage leaders from a variety of faith communities to work toward peaceful co-existence. He has warned that tolerance and dialogue will be costly ventures that will take decades to change the social landscape. For Gülen interfaith dialogue involves people who are committed to their faith coming together and bearing witness to that faith for the express purpose of mutual understanding, empathy, appreciation, enrichment, and cooperation. Dialogue is not about proselytizing or attempting to convert others. It is not about debating the merits or various truth claims of each faith. It is not an attempt to unify all faiths or create a single, world religion. It is also not about compromising one’s own faith. Those who approach dialogue with hidden agendas will find the engagement frustrating, polarizing, and ultimately a failure. Successes in interfaith dialogue will come slowly as sincere individuals share the stories that have shaped their lives. By learning the truth about others and their faiths, by respecting the differences that exist between all of God’s creation, we find our own faiths enriched, our commitments deepened, and perhaps we will create a world where peace reigns. While Gülen and Conyers share much in common in relation to their theology of tolerance, I find one significant difference between them. Gülen understands the crucial role that forgiveness and non-retaliation play in creating sacred spaces where tolerance can flourish. He refers to forgiveness as a great virtue that is paramount to tolerance. Forgiveness restores us and our world in ways that no other action can. To be forgiven is to be repaired. And yet one cannot seek forgiveness without forgiving others for “the road to forgiveness passes through the act of forgiving.” But like tolerance, there are limits to forgiveness. To forgive “monstrous, evil” people who delight in suffering would be disrespectful to forgiveness itself. Furthermore, we have no right to forgive such people for to forgive them is to disrespect the people who have suffered so much from them. Similarly, a person committed to tolerance must also be committed to non-retaliation. According to Gülen, tolerance will manifest itself in halting verbal attacks or abuse of unbelievers; true Muslims, he argues, must swallow their anger and forgive as the Qur’an teaches (3:134). Citing the Sufi leader Yunus, Gülen encourages those who have been attacked to act as if they had no hand or tongue with which to strike back. Clearly, for Gülen, forgiveness and a commitment to non-retaliation are foundational to tolerance. I am unable to find an explicit discussion of forgiveness and non-retaliation relating to tolerance in Conyers’ writings. While I think these two commitments may be implicit in his emphasis on humility, openness, and the reconciliation that comes through Christ, the fact is that Conyers does not mention them unambiguously in his attempt to reclaim the ancient practice. This may be credited to the insulated academic and ecclesiastical environments in which many European and American theologians have worked. Gülen, on the other hand, has labored in a world where injustice and suffering are the ambient reality, where retaliation is natural, and where forgiveness is only a distant hope. Sadly, Gülen’s teaching on peace, tolerance, and dialogue is not accepted by all Muslims. His voice is often muted—if not silenced—by political elements within certain Islamic communities that tend toward restricting freedoms and imposing more extreme versions of Islam on others. Still the Gülen movement represents a hopeful trend among moderate Muslims, a growing minority that is attempting to reform Islam from within. If Conyers and Gülen had ever spent time together, I’m confident they would have come away from those conversations enriched, with a friend and co-worker in the cause of peace. Both men, in my view, are effective advocates of dialogue and authentic tolerance precisely because of the strength of their faiths. Aslandogan, A. (2007) “Interfaith Dialog and Tolerance in the Contemporary World: Fethullah Gülen” (paper presented to the Southwest Commission on Religious Studies, Dallas, TX). Burrell, D. Knowing the Unknowable God: Ibn-Sina, Maimonides, Aquinas. Notre Dame: University of Notre Dame Press, 1986. Çetin, Muhammed. The Gulen Movement: Civic Service without Borders. New York: Blue Dome Press, 2009. Conyers, A. J. God, Hope and History: Jürgen Moltmann and the Christian Conception of History. Macon, GA: Mercer University Press. 1988. ———-. The Long Truce: How Toleration Made the World Safe for Profit and Power. Dallas, TX: Spence Publishing, 2001. ———-. “Rescuing Tolerance.” First Things: A Monthly Journal of Religion & Public Life, 115 (2001): 43-46. Gülen, Fethullah. Pearls of Wisdom. New Jersey, Light, 2000. ———-. Toward a World Civilization of Love & Tolerance. New Jersey: Light, 2004. ———-. The Statue of Our Souls: Revival in Islamic Thought and Activism. New Jersey: Light, 2005. Helwys, Thomas. The Mistery of Iniquity. London, 1612. Hurtado, L. W. “Jesus as Lordly Example in Philippians 2:5-11.” In From Jesus to Paul: Studies in Honour of Francis Wright Beare. P Richardson and J. C. Hurd, eds. Waterloo, Ontario: Wilfrid Laurier University Press, 1984. Kurtz, L. R. (2005) “Gülen’s Paradox: Combining Commitment and Tolerance.” The Muslim World 95 (2005): 373-384. Locke, John. A Letter concerning Toleration. New York: The Liberal Arts Press, 1950. Marcuse, H. “Repressive Tolerance.” In A Critique of Pure Tolerance. R. P. Wolff, B. Moore, & H. Marcuse, eds. Boston: Beacon Press, 1969. McBeth, H. Leon. The Baptist Heritage. Nashville: Broadman, 1987. Mullins, E. Y. The Axioms of Religion. Nashville: Broadman, 1978. Oden, Amy G. And You Welcomed Me: A Sourcebook on Hospitality in Early Christianity. Nashville: Abingdon, 2001. Pohl, C. D. Making Room: Recovering Hospitality As a Christian Tradition. Grand Rapids: Eerdmans, 1999. Ünal, A. & A. Williams. Advocate of Dialogue: Fethullah Gülen. Fairfax, VA: Fountain, 2000. Walzer, Michael. On Toleration. New Haven: Yale University Press, 1997. For a useful description of the Gülen movement written by an insider who is also a social scientist, see Muhammed Çetin, The Gulen Movement: Civic Service without Borders (New York: Blue Dome Press, 2009). For an overview of Gülen’s life see Ünal and Williams, Advocate of Dialogue, 1-42. E.g., Conyers, God, Hope, and History. Helwys, Mistery of Iniquity, 69. See, e.g., Mullins, The Axioms of Religion. Marcuse, “Repressive Tolerance,” 1, argues that tolerance is an end in itself. Marcuse, who is a Hegelian, sees history as eventually telling the “truth.” So the end of this virtue itself is played out in “extralegal means,” i.e., violence and revolution. The irony is in how the original purpose of tolerance, namely, to assuage the problems of religious wars in earlier centuries will climax in violence. This is one of the reasons why Conyers sees the 20th century as being the most violent. See Conyer’s, The Listening Heart. Locke, A Letter concerning Toleration. Bonhoeffer, Ethics, 147, thinks that there is inevitable tension that exists between the natural associations and the organized state. Governments and organizations may collapse but natural associations (e.g., family, friends, religious communities) tend to go on. Natural associations may be disrupted for a time but they generally survive. For that reason natural associations are ultimately more influential. Conyers, “Rescuing Tolerance,” 43-44, recognizes that the privatization of religion was intended not only to protect the state, but religious life as well. But this resulted in the assumption that public life belonged ultimately to the state. For Conyers tolerance is a theological question. Modernity has worked hard to close the door on the transcendent nature of tolerance. Ultimately, understanding tolerance is for all insofar as any discussion about tolerance is a religious discussion. Hurtado, “Jesus as Lordly Example,” 113-126. Oden, And You Welcomed Me, 14. See too Pohl, Making Room: Recovering Hospitality as a Christian Tradition. Burrell, Knowing the Unknowable God, ix. On the paradox of commitment and tolerance in Gülen, see Kurtz, “Gülen’s Paradox,” 373-384. Gülen, Love & Tolerance, 46. Within the Christian tradition, for example, Jesus is known as “the Prince of Peace” based primarily upon the strength of an intertextual appropriation of Isa 9:6 to him. Likewise, Jesus teaches his disciples: “Blessed are the peacemakers for they will be called the sons of God” (Matt 5:9). Gülen, Love & Tolerance, 37-38. See the collection of Qur’anic passages cited by Gulen in Alp Aslandogan, “Interfaith Dialog and Tolerance in the Contemporary World: Fethullah Gulen,” (paper presented to the Southwest Commission on Religious Studies in Dallas, TX in March 2007). Gülen, Love & Tolerance, 41-44. I am grateful to Dr. Alp Alsandogan for helping me understand this point of Gulen’s teaching. Gülen, Pearls of Wisdom, 75. Gülen, Love & Tolerance, 75-76. Gülen, Love & Tolerance, 54-57. I came across this article while chasing down tolerence’s place in government and politcs, especially in light of the recent election. I remembered from his class discussions (and before it came into print), Dr. Conyer’s book, The Long Truce, and that much of it dealt with putting tolerance back in its rightful place — a place of listening and reconciliation. When I look back at my time at HBU and Truett, I am grateful for the schools and professors whose goals were not indoctrination, but to develop critical thinkers. Thank you for being a vital part of my education. It has shaped much of who I am today.